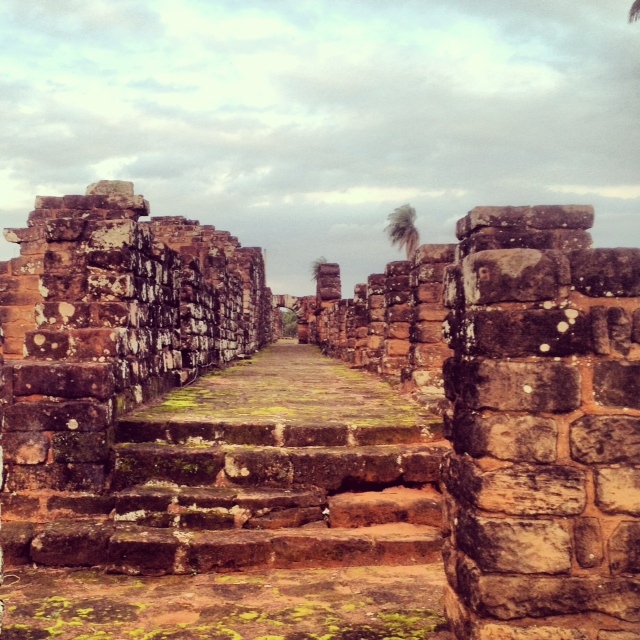 After Brazil, our next country to visit on our Tucan Travel overland tour was Paraguay! This is a small country right in the heart of South America. We only spent a total of four nights in Paraguay. From Foz do Iguazu, Brazil, we rode in the big yellow truck to the border which was only about 30 minutes away. We had to wait in traffic before we could get out of the truck to get our passports stamped. 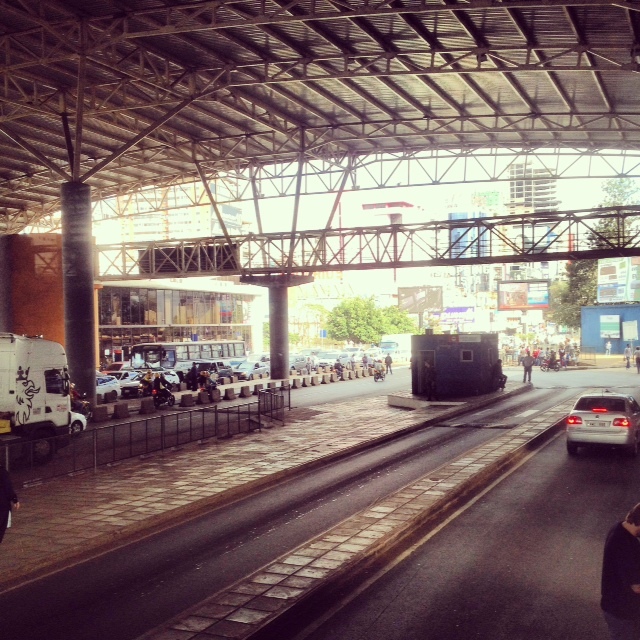 The city that we drove into from the border is called Ciudad del Este. It is the second largest city in Paraguay and as we drove by, there were so many billboards advertising for electronics. I observed that a lot of people were crossing the Brazil/Paraguay border by bus back to Brazil with lots of bags probably buying things since they are cheaper in Paraguay. 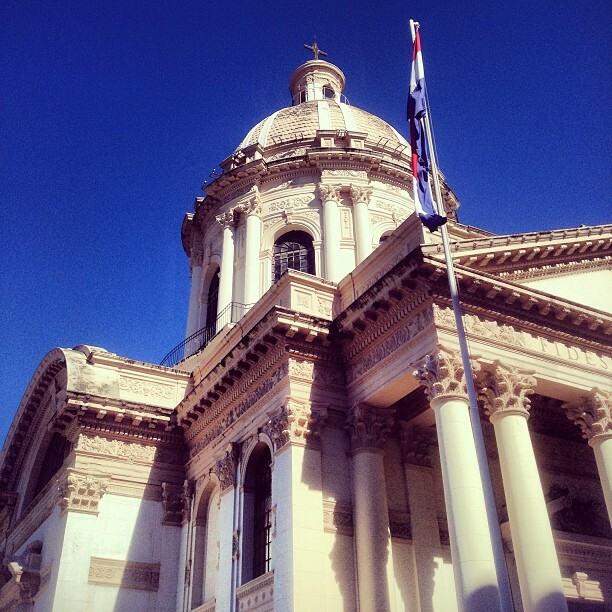 After passing through Ciudad del Este, we drove until evening to the capital of Paraguay, Asuncion. Unlike Brazil’s gas stations with bathrooms and convenience stores to buy snacks, there were hardly any on the drive to Asuncion. I noticed a complete difference in the roads, landscape and the houses we passed by compared to Brazil. 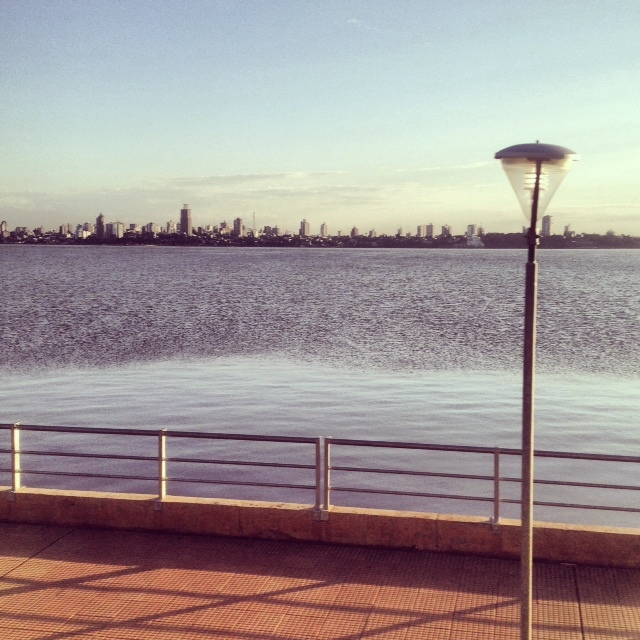 But I was excited to be in Paraguay to explore a different culture and to finally speak Spanish again. Normally on the days we arrived in a city that were not camping in, like Asuncion, our group went to a restaurant to have dinner together. The restaurant we went to was just down the road from our hotel. Interestingly, the guy who took our orders would only recommend beef. And if you said you wanted chicken, he’d pretty much say no and say you wanted beef. Also during our visit, I happened to need a hard drive to put my pictures in from the previous countries we visited on our RTW including Chile, Argentina, Uruguay and Brazil. It worked out conveniently because Asuncion has something like a small mall that only sells electronics. 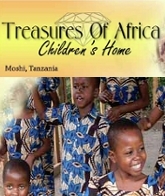 You can go from store to store asking for the best price. After our short stay in Asuncion, we had another driving day to Trinidad, a city in the southeast of Paraguay, close to the border of Argentina. In fact, it’s so close to Argentina that when driving, we could see Posadas, a city in Argentina from across the Paraná River. We camped in Trinidad for two nights. This is a Vine video I shot at the campsite. There was WiFi by the restaurant, bathrooms and pool area which was about a five minute walk from where we set our tents up. It was also kind of cold at night. Whenever we camped during the Tucan Travel overland tour, our group would take turns to cook dinner. We were divided into smaller groups and got to taste each other’s cooking. 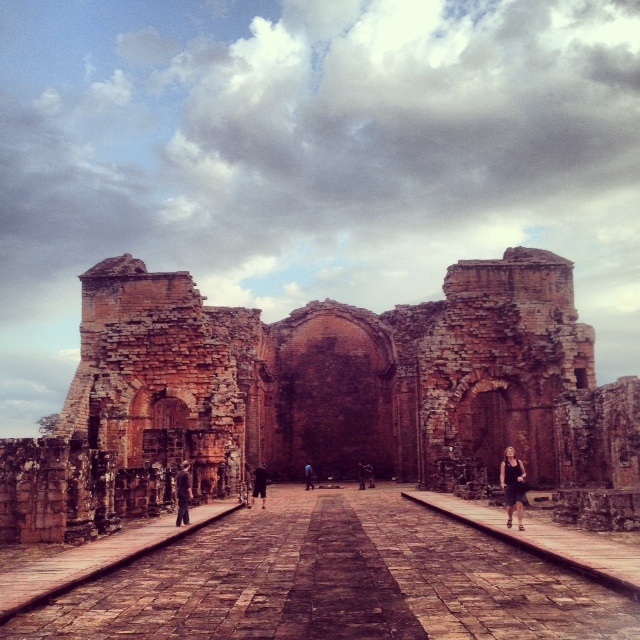 The main attraction in Trinidad is the Jesuit ruin, La Misión de la Santísima Trinidad de Paraná which is a UNESCO World Heritage Site. We got into the truck and drove to the ruins where we were given a tour. Towards the end of our visit to the ruins, dark clouds had appeared. By the time we got to our campsite, it started to rain. There was a building right next to where we set our tents up. The building was probably for parties. It was a big room and there were some giant speakers and tables. It wouldn’t have been comfortable to camp in the rain, so all 13 of us in the group took down our tents, set up our sleeping bags and ‘camped’ inside the building. Also, if you had to go to the bathroom, you had to walk for about five minutes to get to a toilet from the building. But someone in our group found another really clean bathroom inside of the building. So we had a dry place to sleep with a bathroom close by on that rainy night. 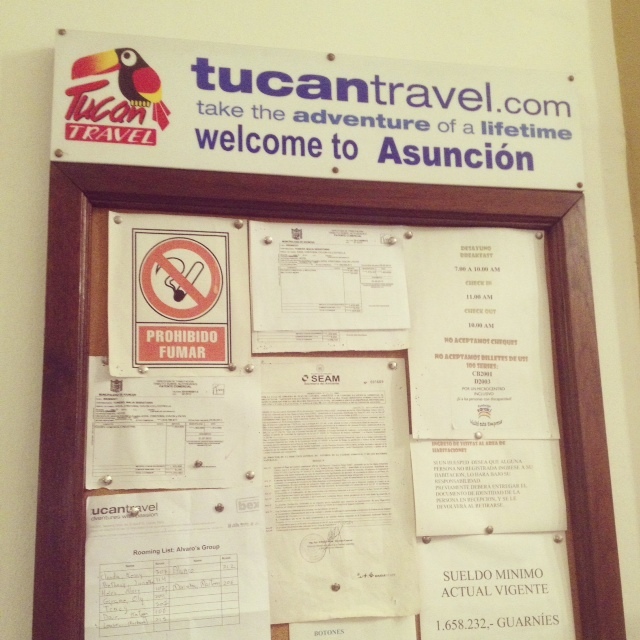 Our next country to visit with Tucan Travel was Bolivia!